The patterns underlying life have always fascinated Karen as a mathematician and artist. Why are they there? What are they for? What do they mean? Why and how can we use them? Essentially Karen’s passion is symbolism, but from a multifaceted perspective. In many guises symbolism has always been present in her original career in international marketing. Subsequently it is an area she has explored in great depth in her writing and art. She considers the science behind numbers, shapes, light, colours and their roles and purposes in forming reality, as well as their use as symbols and tools in art, spirituality and the development of human consciousness. In the way she describes how we can appreciate science through symbolism and art, for example, how the circle relates to the attribute of time. Numerate and creative Karen has a Joint Honours Degree in Mathematics and Management Sciences and a MSc in Marketing, both from Manchester University. Originally Karen spent many years in international marketing, during which time she was published on several occasions. More recently she has devoted over 20 years to research, writing, speaking and also exploring conceptual and abstract expressionistic art. Born in Africa, she now lives in Oxfordshire with her Canadian husband. In her Alchemical Art Karen utilises numbers, sacred geometry, colours and even materials, with their purposes in forming reality and their use as symbols. With the incorporation of the power of intent she aims to convey the magic of Alchemical Art to elicit various responses from the viewer, be they physical, emotional, sub-conscious or other. 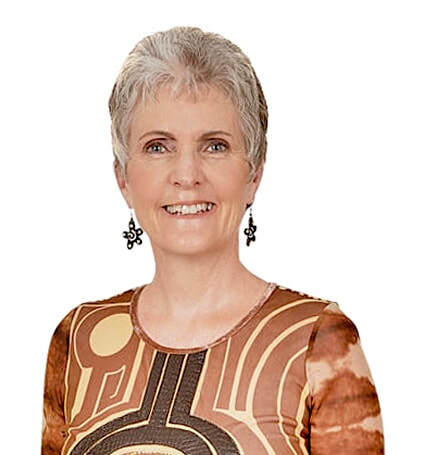 As an international author Karen is known for The Gateway Series of books, which currently includes the titles, Gateway to the Heavens and The Hidden Geometry of Life, published by Watkins Publishing Ltd. They have been translated into several languages and are available world-wide. Her books and articles are based on a wide scope of research covering the Sciences, Arts and belief systems. ​She explores the dynamics of reality, consciousness and the Mind with the sacred geometry of the Gateway to the Heavens model as the central theme. Her writing is always highly illustrated, also with insightful quotes and examples across disciples and cultures. ​Karen hopes to inspire readers to look at reality with fresh eyes and to delve further for themselves. She also enjoys giving talks to a wide audience, as geometry and symbolism are embedded within every aspect of life.